Life insurance is an important but often overlooked necessity. A good life insurance policy, while not directly benefiting the policy holder within their lifetime, is likely to have a significant impact on the financial situation of the policy holder’s dependants after the death of the former. As such, life insurance should be investigated and taken seriously. The number of individuals in the UK with dependants but no life insurance policy is shocking. Most of us have home or motor insurance; if we are willing to insure these assets, why are we so reticent to insure our lives? Part of the reason for the chronic under-insurance of the British public is the perceived cost of life insurance policies. While it is true that a good policy can come with significant premiums, it should be possible to find affordable deals that cater to your needs. 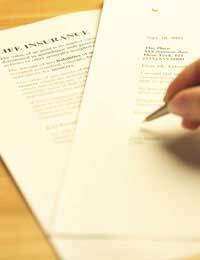 It is important, however, to understand the difference between the various types of life insurance policy. Broadly, life insurance can be split into two categories: term insurance or whole-of-life policies. Under a term insurance agreement, the insurer will pay out if the policy holder dies within a certain period of time (the ‘term’), but will not pay out at all if the policy holder survives this term. There are a number of potential benefits to these agreements. In the first instance, term insurance can be significantly cheaper than whole-of-life policies; if your primary concern is to provide some security for your dependants as cheaply as possible, then this might well be your best bet. Furthermore, if you have some cash to spare, you might well find that it is more financially beneficial to invest the remainder in another vehicle, rather than paying higher insurance premiums. Whole-of-life insurance, as the name suggests, pays out regardless of when the policy holder dies. Generally, these agreements are investments in themselves. As the premiums tend to be higher, the life insurance fund will gradually build over the course of the agreement. Depending on your policy, the insurer may also invest this fund in some other way. If you are thinking about taking out such a policy you should investigate the terms of the investment carefully; the rates of return are likely to be variable, and there may not be a guarantee that your fund will grow in value. Particularly beneficial, however, is the fact that payment to the policy holder’s dependants is not contingent upon the individual dying within a specified term. It should also be remembered that premiums will vary depending upon the health of the policy holder. If your health is particularly bad, or if you have a chronic condition, you may find it difficult to get insured at all; cancer sufferers, for example, are virtually excluded from the insurance market, although there are a very small number of specialist providers who may be able to offer you a basic policy. As with any such financial choice, it is important to shop around in order to get the best deal. Furthermore, if you are unsure about any aspect of the process, you may find it useful to seek independent advice. This is available in a number of places; a good first step is to find your local Citizens’ Advice Bureau, which should be able to give free information.